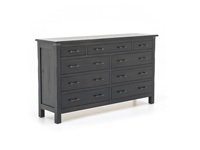 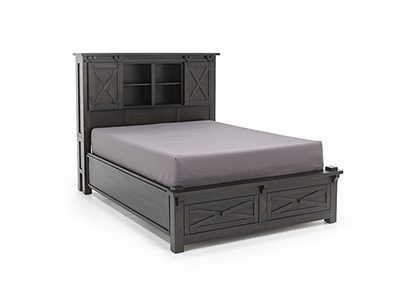 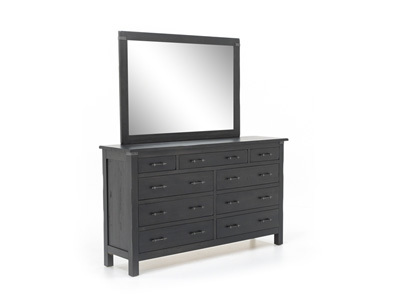 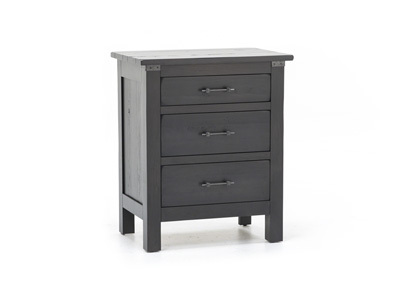 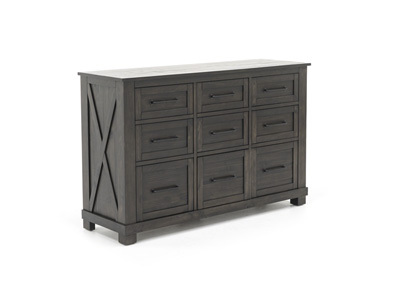 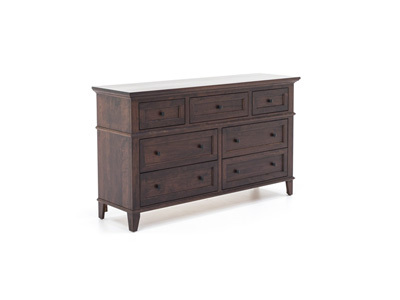 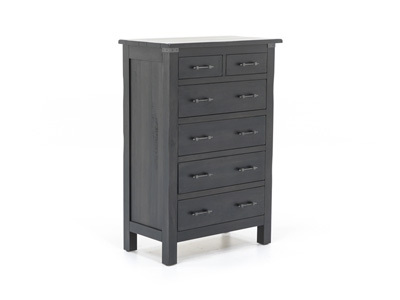 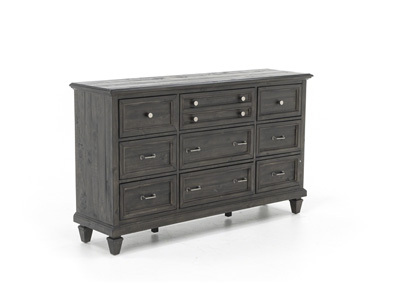 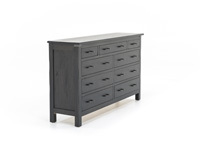 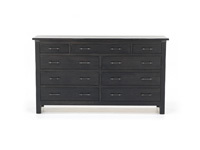 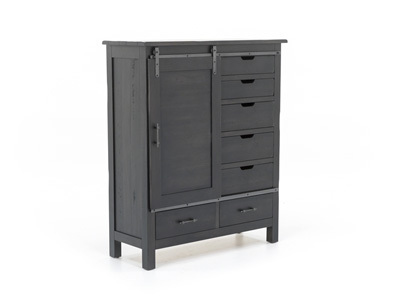 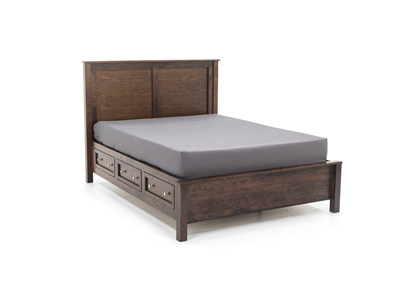 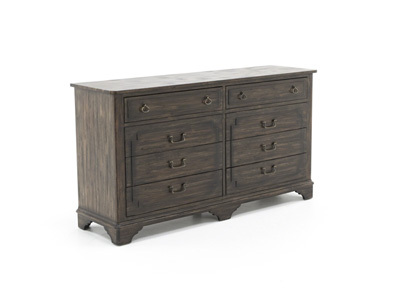 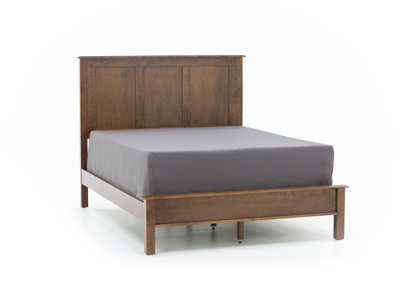 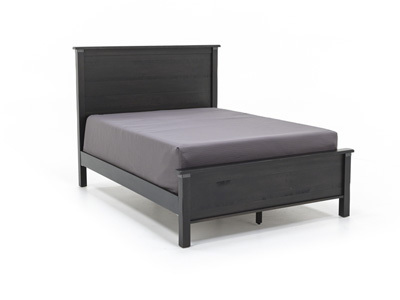 The Wildwood Dresser features 9 drawers to fit your entire wardrobe. 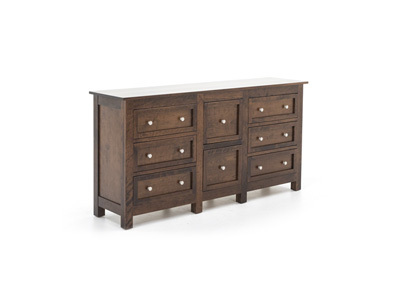 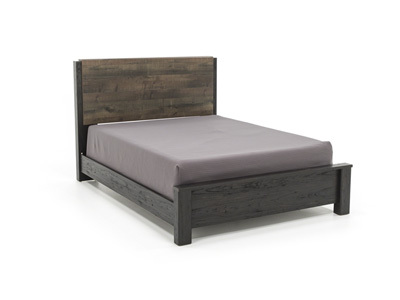 The featured hardware is "iron-forged bar" handles and "iron wraps" hand-hammered by Amish craftsmen. 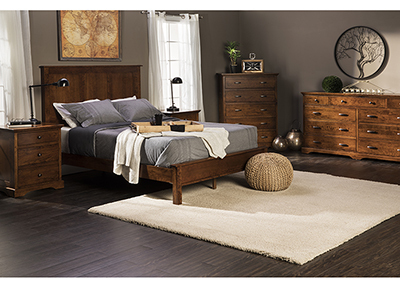 There are 4 distressed cherry and 4 distressed maple stains available, as well as a variety of hardware.